Michael LaFido is a top-producing Realtor® and real estate consultant with over fifteen years of experience in the industry. Throughout his career, Michael learned the importance of superior marketing versus “traditional marketing”, which has become the key to his success. This approach is based on developing and maintaining relationships with his clients, so that he can serve them with the highest standard of customer service and respect. Michael has also integrated a proven marketing plan into his approach so that the buying and selling process is systematized to be successful consistently. Over the past fifteen years, LaFido and his team developed a method that takes a more comprehensive, proactive approach to marketing a home. This method consists of a 201-point marketing plan for each property which ensures that his listings attract only the most eager and qualified buyers. Michael even takes the time to invest in a professional stager to stage your home for sale and has a proven, repeatable system backed by market research which allows his clients to sell their home for more than traditional real estate agents. 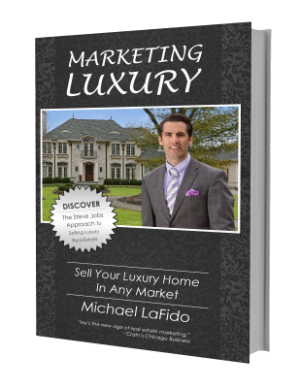 Michael LaFido is the author of the book "Marketing Luxury" and the best-selling book “Cracking the Real Estate Code”. Michael’s marketing was also the featured cover story in Crain’s Chicago Business and highlighted at noon on FOX News Chicago’s business hour. He is the founder and creator of the nationally recognized Verified House home seller advantage program and has spoken about real estate marketing during many public speaking engagements and national conventions. 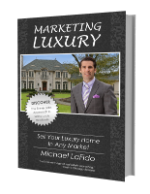 Michael is the founder of the Marketing Luxury Group. The Marketing Luxury Group assists other real estate agents and affluent home owners by providing turnkey services including "lifestyle marketing', consulting, and PR services to help agents and owners sell their luxury homes using our proven and reputable strategies.